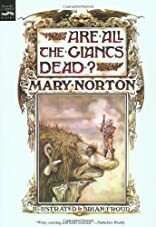 Home > Books > Are All the Giants Dead? A powerful and intellectually stimulating teenage love story. About Mary Norton (Author) : Mary Norton is a published author of children's books. Some of the published credits of Mary Norton include Borrowers, Borrowers, The Borrowers 50th Anniversary Boxed Set.